Impress with the brightest and the best! Designer colors help you create notices, flyers, announcements and bulletins that grab people's attention. Specialized engineering ensures trouble-free performance in all laser and inkjet devices. Acid-free stock provides excellent fade resistance. This product was made from wood that came from a certified managed forest. 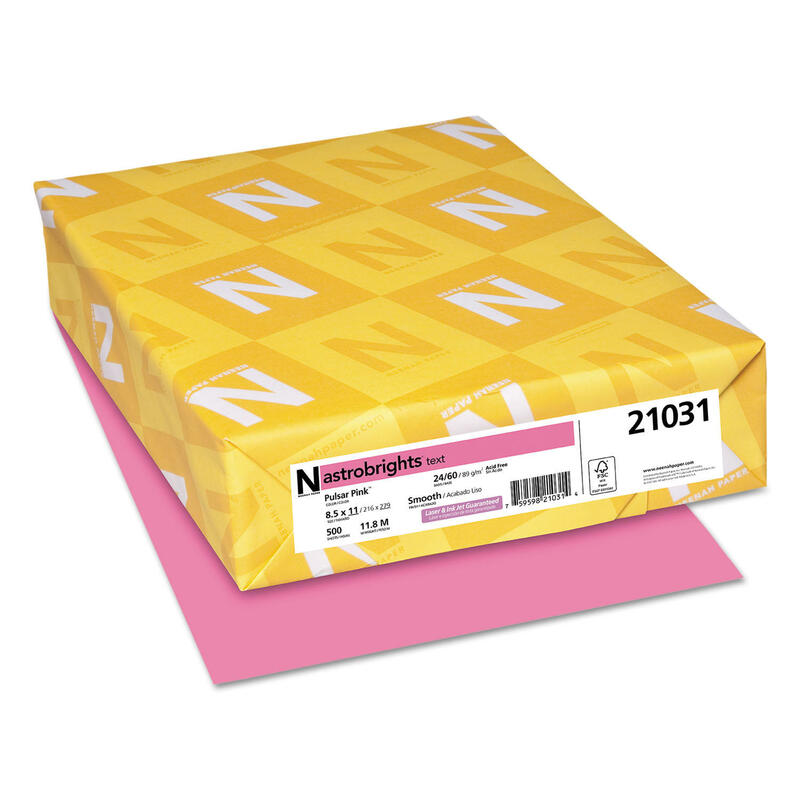 Size: 11 x 17; Paper Color(s): Pulsar Pink�; Paper Weight: 24 lb; Sheets Per Unit: 500. Impress with the brightest and the best! Designer colors help you create notices, flyers, announcements and bulletins that grab people's attention. Specialized engineering ensures trouble-free performance in all laser and inkjet devices. Acid-free stock provides excellent fade resistance. This product was made from wood that came from a certified managed forest. Size: 8 1/2 x 11; Paper Color(s): Plasma Pink�; Paper Weight: 24 lb; Sheets Per Unit: 500. Impress with the brightest and the best! Designer colors help you create notices, flyers, announcements and bulletins that grab people's attention. Specialized engineering ensures trouble-free performance in all laser and inkjet devices. Acid-free stock provides excellent fade resistance. This product was made from wood that came from a certified managed forest. 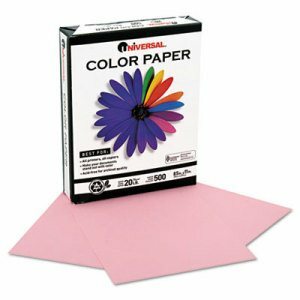 Size: 8 1/2 x 11; Paper Color(s): Pulsar Pink�; Paper Weight: 24 lb; Sheets Per Unit: 500. All printers, all copiers. Make your documents stand out with color. Acid-free for archival quality. This product was made from wood sourced from a certified managed forest. 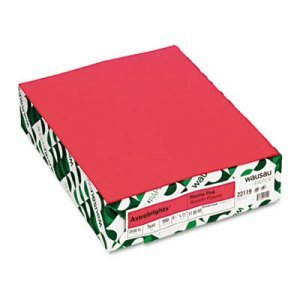 Size: 8 1/2 x 11; Paper Color(s): Pink; Paper Weight: 20 lb; Sheets Per Unit: 500.